James is a Director, Management Consulting in KPMG’s Policy, Programs and Evaluation Government Advisory Group. James has over a decade’s experience working within the Victorian Public Sector at senior executive level in the infrastructure and transport portfolios. 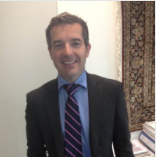 Most recently, James was an Executive Director at the Victorian Department of Transport, its General Counsel and a member of its senior executive leadership team and its audit and risk committees. James’ areas of expertise include regulatory policy and reform, public sector governance, Commonwealth-State relations, intergovernmental and inter-agency relations, stakeholder relations, commercial policy, strategy and negotiation, major infrastructure projects and commercial transactions and public transport franchising. He has extensive experience dealing with Ministers, Chief Executives, Board and senior stakeholders in the public and private sectors. Prior to joining the public sector, he was a Senior Associate at Phillips Fox Lawyers (now DLA Piper) practising in commercial law, major infrastructure projects and litigation for government clients.